ST. GEORGE – A man was injured Saturday night after allegedly being shot by a pellet gun fired from a car. The incident was a part of what started out as a domestic violence incident that turned into a jaunt of alleged criminal mischief and aggravated assault. Daniel Kent Rowley, Jr., 19, of St. George, faces charges out of St. George and Washington City regarding the incident. Following a family fight incident at a residence in St. George that officers had responded to earlier that evening, officers were called back around 10:25 p.m, according to a probable cause statement. Rowley had left the residence after the original incident and returned. He was asked to leave, but then got into the face of one of the residents and started threatening him, the document states. Rowley was pushed away and returned to his car where witnesses said he pulled out a pellet gun and started shooting back at the residence. At this point the occupants slammed the door on Rowley who then got in his car and left the driveway. At the same time, Rowley is alleged to have continued firing pellets at him. Rowley told police later that he was shooting at the person due to his throwing a rock at his car, according to the statement. 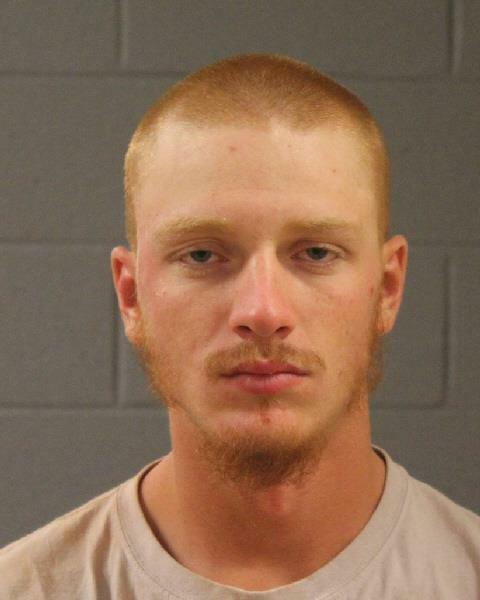 He also told police that he fired the pellet gun 10 more times after that while driving around a part of St. George. Rowley later told a Washington City Police officer that he had been firing the pellet gun randomly while driving in the area of Star Nursery and Nisson Park. The man who was shot transported himself to Dixie Regional Medical Center in St. George “where he was advised shrapnel from the pellet projectile was still in his arm and had to be surgically removed,” according to a probable cause statement. Rowley told the Washington City Police officer that he had fired at least three shots in the area but was unaware he had hit anyone. Rowley re-entered St. George through Red Cliffs Drive and went south in the area of 2450 East and randomly took pot shots from the pellet gun out of the window of his car. This resulted in damage to at least six vehicles, two of which had windows broken by pellets. Estimated damage was over $1,500, according to a probable cause statement. Rowley was ultimately located and taken into custody by St. George Police officers and given his Miranda rights prior to questioning. Charges facing Rowley out of St. George and Washington City include felony counts related to domestic violence, aggravated assault and criminal mischief. He also faces misdemeanor counts related to discharging a weapon from a moving vehicle. did you learn that in your mental hygiene class ?